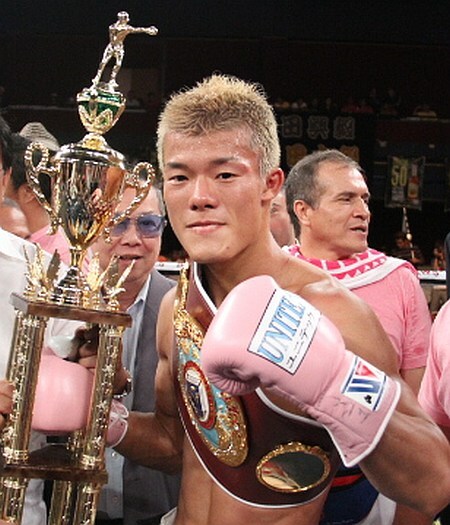 At the start of this year Japan had only ever had one IBF champion, Satoshi Shingaki. This year that number climbed to threee as Katsunari Takayama finally won the IBF Minimumweight title and Daiki Kameda (29-3, 18) claimed the Super Flyweight title. On December 3rd both Takayama, who defends against Vergilio Silvano, and Daiki will put their titles on the line as Japanese boxing tries to prove that allowing IBF champions isn't a bad thing for the sport. As mentioned Takayama will be fighting Silvano in the first defense of his title. 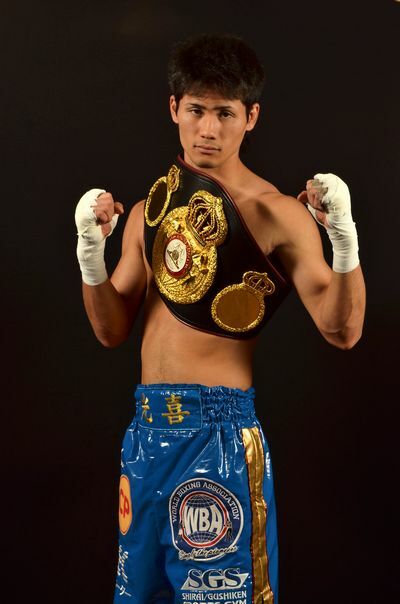 For Daiki however things are much rickier as he attempts to unify his belt with the WBA title currently held by Venezuelan Liborio Solis (15-3-1, 7). For Solis this will be his second trip to Japan this year following his victory over Kohei Kono to unify the WBA interim and WBA regular titles. For those of you who remember Solis's fight with Kono it was a really fun fight. Both men had their moments in a give and take contest that saw Solis dropped early on before dropping Kono in the eighth and eeking out the decision late. For many that bout was so good and so close that they were calling for a rematch between the two men, instead however Solis has been inactive for 7 months. Against Kono we saw a bit of everything from Solis. We saw him boxing and moving, we saw him going to war and brawling and we saw him showing his toughness. It was genuinely great. Several months after Solis' victory against Kono, Daiki won the IBF title as he out pointed Mexican Rodrigo Guerrero in a contest that was fought in a much different manner. Against Guerrero we saw Daiki sticking, for the most part, to boxing and moving, being negative and trying to avoid too many moments of back and forth action. It was a forgettable contest for the most part, though there was a highlight reel tenth round as both men unloaded. From having seen both of those fights again recently we are really hoping that this won't fall into a clash of styles. If both men attempt to box for 12 rounds then Daiki's speed could well be the difference in what could potentially be one of the worst fights of the year. What is, thankfully, more likely is that the bout will have moments of ups and downs. Solis, despite being the shorter man, is expected to have a notable reach advantage and if he can use that to his effect he could prevent Daiki from being overly negative. If he can use that and force Daiki the bring some action to him we could have a number of rounds like the tenth of the Daiki/Guerrero bout. We'll admit we're hoping that Solis has the ability to bring the best from Daiki. If he can then we may, again, see Solis involved in a great contest in Japan and a contest that is fitting the "unification" tag that this bout has. If we end up with a forgetable one however then we expect the Japanese will further slate the way the Japanese Boxing Commission has accepted the IBF. It'd be a shame for the fans to refuse the IBF as organisation opens up new doors to major fighters. For example a possible Light Flyweight clash involving Johnriel Casimero and Kazuto Ioka, Ryo Miyazaki or Naoya Inoue, or a fight involving a Hisashi Amagasa and Evgeny Gradovich at Featherweight. Oddly the winner here, despite being a unified champion, would likely only be viewed as the third best fighter at 115lbs behind both Srisaket Sor Rungvisai and Omar Andres Narvaez, the WBC and WBO champions respectively. Interestingly both Narvaez and Srisaket have beaten Japanese fighters in recent bouts with Narvaez stopping Hiroyuki Hisataka and Srisaket stopping Hirofumi Mukai. Takayama makes his long awaited return to Japan! When we talk about great fighters we like to think that the very best make their name on the road. It's all too easy to stay at home and pick up easy pay days whilst not fighting the best available. One Japanese fighter who has been on the road and proven his worth against fighters all around the world is Katsunari Takayama (25-6-0-1, 10). Katsunari, a true road warrior has been on a 4 year journey around the world fighting in South Africa, the Philippines and Mexico as he persued the IBF Minimumweight title around the planet. Last time out Takayama finally got his hands on the red and gold IBF title as he defeated Mario Rodriguez via decision in a war in Sinaloa. It was further proof of the type of fighter Katsunari is, entertaining, gutsy and a warrior. In defeating Rodriguez, Takayama became just Japan's second ever IBF champion behind Satoshi Shingaki and became of very few Japanese fighters to have claimed a world title whilst fighting away fro m home. Fighting in Japan for the first time since 2009, and fighting in his ome town of Osaka for the first time since 2008 Takayama will be defending his title for the first time on December 3rd as he takes on Filipino challenger Vergilio Silvano (17-2-1, 10). 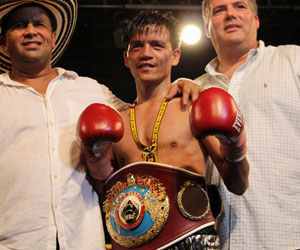 Silvano is a name that few fans outside of Asia will have heard of though he is ranked by both the WBO, #3 at Light Flyweight, and the IBF, #6 at Minimumweight. Those world rankings, whilst never truly accurate, do suggest that Silvano is a real threat to Takayama. Footage of the Filipino is somewhat difficult to come by, especially when it comes to recent footage of him. From what footage we have seen however he is a southpaw who is a little bit taller than Takayama. He of course lacks the big fight experience of the Japanese fighter though has got experience in going 12 rounds as he did last time out against Jetly Purisima. Silvano started his career 2-2-1 though has since gone on a 15 fight winning streak. These 15 wins have seen him going 4-0 (2) in title fights and have included him winning the WBO Oriental Light Flyweight title and the Philippines Boxing Federation (PBF) Light Flyweight title. For Takayama his record in title fights is less impressive though he has been both an IBF and WBC Minimumweight champion and a WBA interim champion. It's this level of experience that should seperate the men. We imagine Silvano will start well but the relentless assault of Takayama will start to take it's toll in the middle rounds as Silvano is slowly ground down. The Filipino will, by the later rounds be struggling as Takayama takes a clear but hard fought victory over a man certain to come again and grow from defeat. Interestingly this bout appears to have it's own poster courtesy of Katsunari's promoterwith the fight being dubbed "Lightning K is Back". Destructive Kovalev seeks first defense! If one man from Russia has made a statement this year then that man was WBO Light Heavyweight champion Sergey Kovalev (22-0-1, 20). The "Krusher" as he is known, has gone from relative unknown to one of the sports most feared fighters in the space of just 12 months. Although it has just been a year, Kovalev has had one of the most destructive years in boxing destroying a trio of credible foes in the form of Gabriel Campillo (TKO3), Cornelius White (TKO3) and most recently Nathan Cleverly (TKO 4). Had it not been for the fact Adonis Stevenson had managed to get his hands on a shop-worn Chad Dawson it's fair to say that Kovalev would have been seen as the Light Heavyweight division's saviour. Instead however, Kovalev is a man on a collision course with Stevenson, if, and only if, both men can continue to destroy opponents as they have done this year. Kovalev will be hoping to continue his destructive run when he returns to the ring on November 30th as he attempts to make the first defense of his WBO world title and battles Ukrainian Ismayl Sillakh (21-1, 17). Sillakh, a man who has promised much but failed to deliver so far in his career, is a fighter who is skilled, has solid power, and impressive hand speed for a Light Heavyweight. Unfortunately he also possess a questionable mentality in the ring and a chin that has already cost him against a Russian fighter. At his best Sillakh looks like he has the potential to give anyone nightmares. He combines power and speed excellently, he has a very impressive amateur pedigree and when he lets loose it looks like few can live with him. At his worst however he looks like a fighter going through the motions and a man who is more a talented athlete than a fighter. That sounds harsh but sadly it's the way he looks. Whilst Sillakh is a fighter who looks like he's going through the motions it's fair to say that Kovalev looks like a wrecking ball, and one that even Miley Cyrus would be afraid of getting close to. Fighters who get hit by Kovalev know they've been hit, and whilst many big punchers are wild and reckless Kovalev is busy and accurate breaking people down with his heavy artillery which is potent to say the least. It can be very, very easy to fall in love with power punchers. We all know that. But Kovalev is more than just a power puncher, he's a skilled, busy fighter who is as much about his skills as power. If Sillakh attempts to go to war with Kovalev there will only be one winner, and it'll be over very quickly. If Sillakh attempts to box, he does have a chance. Unfortunately for the Ukrainian however there is little chance of him seeing out more than a few rounds with Kovalev who will connect and then move in for the finish and seeing off Sillakh inside 6 rounds. Interestingly on the same card Adonis Stevenson will be fighting Tony Bellew. We, like many in the boxing world are hoping that 2014 will see a Kovalev/Stevenson bout, though of course both will need to win their contests here for that to be a possibility.